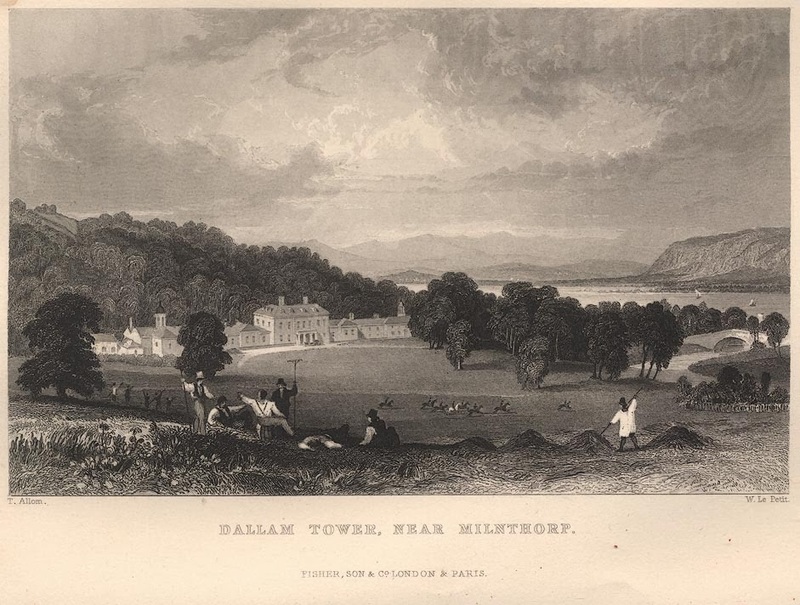 Dallam Tower and its parks can be found about a half a mile to the West of Milnthorpe and the A6. The parks surrounding the hall boast an impressive herd of semi-wild deer, miles of walks, and the remains of a possible motte and bailey castle overlooking Milnthorpe. Originally there was a fortified tower here, built sometime during the 1370's, by the de Thweng family. The Haverbrack family then took over the site, adding a hall block to the tower, which was in turn replaced by another range of buildings by William Thornborough during the 16th century. Above. View of Dallam Tower from the deer park. The Orangry, which can be seen at the far left of the above photo, is reputed to stand on the site of the fortified tower. 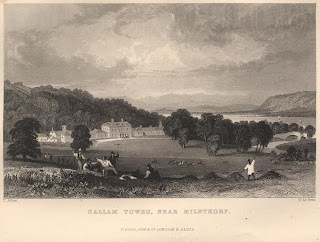 Dallam Tower as we see it today, was built by Daniel Wilson from 1720 onwards, with the original tower and the later hall demolished in about 1720\23 The hall underwent some cosmetic changes in 1826 at the hands of Kendalian architect George Webster. The grounds are full of deer and provide a good couple of miles of walks. we often drive through with the grandchildren on our way home after a day out. never actually stopped because we dont know if its allowed. so impressed with the grounds and the deer and always look out for the heron by the water.